Following a three year development and collaboration between the V&A Museum and China Merchants Group, China's first major design museum has opened its doors to the public. 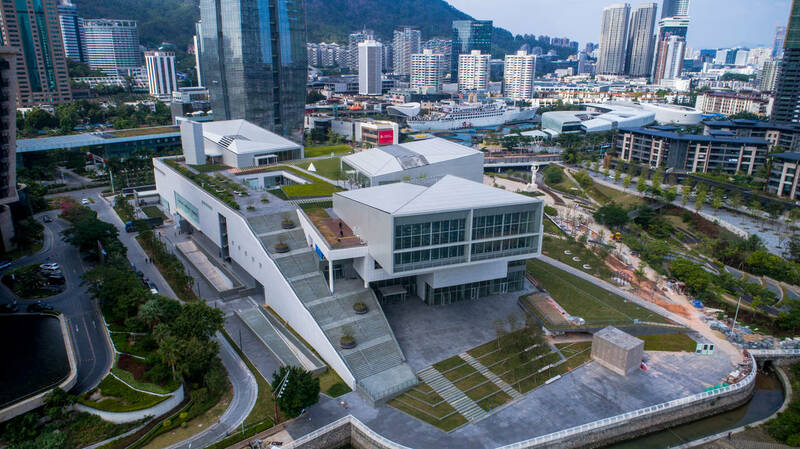 Located in the Sea World Culture and Arts Centre in Shekou, designed by renowed Japanese architect Fumihiko Maki, the 'Design Society' is home to three new exhibitions, instating its position as a new key public venue and cultural destination, with the ambition to inspire and stimulate the growing design scene in Southern China. As part of the V&A's largest international initiative in its history, Sysco worked in collaboration with Sam Jacob Studio the exhibition designers and media creatives ISO on the V&A Gallery 'Values of Design'. Designing and commissioning the AV installations, Sysco worked closely throughout the design and installation phases to create an experience that explores the historical and geographical diversity of the objects within (over 250 of them) whilst delving into the critical issues and values found in the world of design.